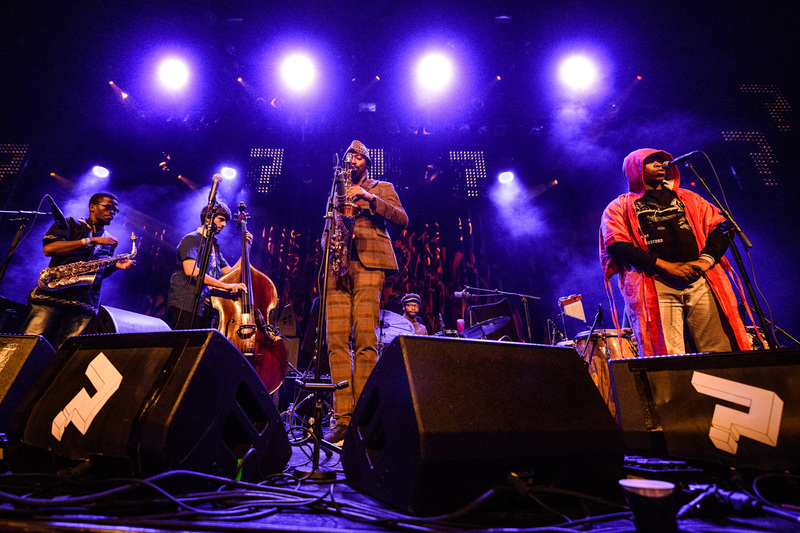 We've made the stream of Shabaka & The Ancestors' powerful performance at Le Guess Who? 2017 available now, which was curated by James Holden for the festival. Listen to British jazz stalwart Shabaka Hutchings & his South African brethren The Ancestors usher into uncharted pathways of spiritual jazz while delivering an important and urgent message: "We need to feminize our politics. And we need to make it a reality that Black Lives Matter." Recorded by Marc Broer at Le Guess Who? 2017 on Sunday, 12 November in TivoliVredenburg, Utrecht. Recordings made in cooperation with VPRO / Vrije Geluiden. Photography by Jelmer de Haas.